Christmas is a time of wonder for young and old alike. Despite all the commercialism, the message of God's love for mankind rings louder at Christmas than any other time of the year. You can go into nearly any store and hear great songs like "Joy to the World" and see scenes depicting the birth of Christ in places that otherwise would only use Christ's name in profanity. But sometimes, the narrow focus on these events to create a "Christmas spirit" misses some of the great truths surrounding the miraculous birth of Christ. 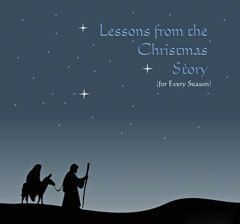 There are life-changing lessons to be learned from the Christmas story that can affect our lives every day of the year. 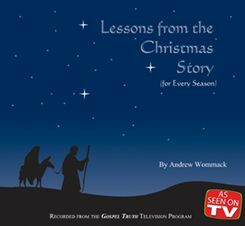 In this album, Andrew shares some of the most profound truths that the Lord has given him. The teachings on how to conceive a miracle and the Gospel of peace are truths that everyone who wants to live a victorious Christian life must know.